If someone asks you to suggest him an application that allows sharing his or her photos on a social networking site after editing the click according to their will altogether, the most frequent answer that is expected is ‘INSTAGRAM’. To be precise Instagram is a free photo sharing program and a social networking site as well. Instagram was launched in October 2010 and in its initial days it was developed to work on iPhone, iPad and Ipod touch but later (around April 2012) the company extended its support to the Android phones with 2.2v (Froyo) or later ones. As a matter of fact Facebook had once extended its hands to buy the Instagram along with its 13 employees. Inkstagram provides the web interface missing in Instagram. One can keep their photos with their friends post, comment on them and can find new friends. This service allows the user to click snaps and then share it to the Instagram users on the social networking site. Today it has more than 80 million active users. The interface of Instagram is divided into 4 parts- your photos, feeds, likes and popular images on Instagram. Further it allows the user to search the photos through many different categories. You can select your choice to view the image in small, medium or large size as opted. Pictarine in its own way provides a medium to browse own Instagram photos along with photos from other social networking sites like Flickr, Facebook, Picasa and Twitter. All you need to do is to install a plugin and you can download all of your Instagram clicks in one go. Further it has one more feature to present the pictures in a slide show and allows you to share the photos publicly or privately to other people without considering the fact that they are Instagram user or they are not using it.It has some cool unique features. It is another such site that allows the user to keep up their feeds, with the popular photos and to have some interaction with other users in a browser. It gives you all the features that are present in Inkstagram along with a new feature of showing the hottest tags for the photos which is in another tab named Discover. The reviews of the user suggests it to be as Instagram as its best. It uses Instagram API but yet it has not been endorsed or certified in any way by Instagram. This one allows you to keep up with your feed as well as watch other photos on the Instagram. Those pictures or any other latest ones can be searched by their description tags, you can view your own photos or you can share your links to others. The extra feature that Webstagram offers to its users is the opportunity to get featured in the ‘Photo of the Day’. What you need to do it is to just tag that specific photo of yours with ‘Photooftheday’. The images can be viewed as in the list or grid form. Gramfeed provides its users with a web interface to access all the features of Instagram in a browser. What new it features is a map with markers of where all photos of a person have been taken. With Gramfeed one can easily view his photos, stream, see his likes, and view famous photos or comments. One can also search photos based on some ones location or any username or tag. In short there is quite a mere change in Gramfeed in comparison to the features available in Instagram. Carousel has been developed for the Mac users. In a way the Mac users can bring the Instagram features to their system through this application. Carousel has already been praised quite much by The Next Web. This app allows the user to interact with other users, comment and like photos as well as follow or unfollow other users. Furthermore as other ones you can watch your feeds and view the latest photos, an additional feature that is in it that you can drag and drop photos on your desktop to save them. If you want ease with your Instagram stream, like Instagallery or take full advantage of your iPad’s larger screen, this one is waiting for you to serve you at its best. You can add pictures to your favourites, comment on them, or share them via your email or through the social networks that you have already plugged in to Flipboard. You can view your stream as you would do on any other source on Flipboard. 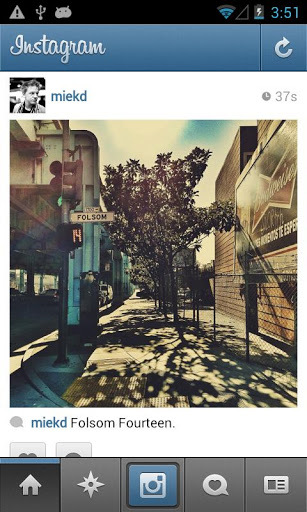 Especially designed to work on Mac it is also one of the most popular app of Instagram. This app allows an easy way to make a link between Instagram and Facebook and is quite efficient in its work. It instantly notifies your newly added photo to your friends as soon as you connect Facebook through Instagram account. It just adds them as a link on your wall. InstaFB creates a Facebook album and each time you upload a photo, the specific photo is added to that album and hence automatically updating it. It has proved itself quite worthy for those people who are interested to let their friends know every minute detail of theirs to them. While the previous one may be used to connect you on FB, this one gives you to share your photo to both Instagram and Flickr. In addition to that it gives an appealing way to do so. When you enter your username of Flickr, Gramjunction displays your new photo on your profile page from where you can easily share them to your friend on that social networking site. This application has been designed keeping the fact in mind that at any point of time you may need to have a back up of all your photos. You can make a back up of them using Dropbox. All you need to do is that after you have gone through connecting the two services, any of the photos that you will share on Instagram will be automatically saved on the Dropbox and hence creating your back up as well simultaneously. So it is also quite useful in its way. Apart from using Instagram only to share your photos or to follow only your friend circle, there are many who may think to follow popular photos or discover new friends here on Instagram. Insta-great displays a slideshow of popular on Instagram which ends your search. Just by signing into your account, you can view your timeline, and your own photos, further you can add some photos to your favourites according to your wish. The next number that comes in the queue to search popular photos is this one named as Heroku. Heroku allows the users to search Instagram photos through the wide gallery present in there. One can narrow or get some specific results for the photos that he wants to search by adding filters to the search tags. To be more precise about Heroku, it is a cloud computing program supporting many languages. But that is not the matter of concern here. We can say that the way by which we are allowed to search the photos on it is by the help of cloud computing. Now it is the turn for some of the paid apps for the same. 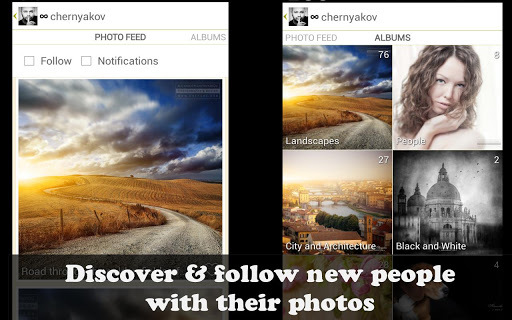 Instagallery comes on iPad, iPhone and iPod touch for $1.99. But this app in no way is wastage of your money. Certainly it seems that it is perfect app that deserves to be on the large screen of iPad. The app allows its user to keep up with his friends and his favourites. It is one of the best ways to keep your track synchronized with Instagram. Along with the previously mentioned features you can search for the photos with some of their search tags. The photos can be viewed in grid or on large size. This application allows you to search photos on the basis of the location. The site either detects your current location or may show you nearby photos else you can search them through a specific location of your choice. You can zoom in or zoom out on the map but there is no way specified to connect to the photos displayed there. Further you cannot view them on the original Instagram page or find out about the person behind the photo. However it is the finest way to look out for the Instagram use all over the world. According to my view, it is that part of Instagram websites which is the most liked one by the female part of our society. As the name clearly suggests the extent of cuteness hidden in it, it is in real the same. I guess you would have guessed what it is about. This Instagram website suggests pictures of only one category and certainly which are- Cats. So if you are searching some cute photos of Cats to really impress someone this site is available to present a slideshow of some real cute ones. Again as the name clearly specifies the category of pictures that it would give you, it seems a mere formality to write about it. This site is waiting for you if you are much of a ‘Dog Person’ because this site brings you all the puppy-goodness found on Instagram to your browser and thus making them reachable to you. Moreover this site has a sister site named as ‘Instakitty’ if you get bored eventually with the previously mentioned Instacat. It is basically a flash based screensaver which you can download for your Mac or Windows computer. This screensaver afterwards displays a constant reel of Instagram photos. But in addition to it, you can set it to view your own photos, your feeds, the favourite ones, or merely your favourite and popular photos. When you click on the specific photo in the website, it will take you to the specific page of that Instagram. In a way to describe this app can help you to customize your ideas according to your will through all its features. This application is quite similar to Instarium in almost all of its aspects except of the fact that till this date this app is available to download on Mac only, compatible with Snow leopard and up. It consumes the photos from Instagram service, and displays them in a beautifully suited array on the screen. In addition to that it can access the photos of your friends and the most popular ones as well to serve the same purpose from the Instagram community. In quite simple words it is a screensaver for the Mac. This app of Instagram allows its user to create an own gallery of photos online which should be of Instagram undoubtedly. These photos can be displayed in grid format of small images or can be shown as a list of large images which can be selected by you. Further the users can get notifications by subscribing for the same through email when he adds a new photo to Instagram, this feature makes it a great way to use by non- Instagram users to keep them updated with the user’s photos. This app has been developed just to make it more fun for the user to use it. In general, it has two important features. It displays two images side by side. The user can select any one of them whichever they prefer and select them. At the same time the user can select both of them and make a pair if he thinks so by using ‘Make a pair’ option. In a way, this app serves two purposes at a single time. One is this game of selecting the photos and the other one is the basic one similar to all Instagram. This application is quite similar to Instawar except for the fact you cannot make a pair of photos or you cannot create a diptych. However you can add your own photos by into the mix by connecting your other Instagram clicks. The benefit of doing so is quite clear. As everyone knows photos that get the most votes are placed in the top picture sections, which mean that your photos can get more of the attention which you would certainly want to get. Many of the sites offer to take the print out of your favourite Instagram photos. Instaprint is one of the most popular apps in this aspect. It is one of the coolest ideas that have emerged along with Instagram’s popularity. It has witnessed most of its use at a social event where the user may want to take out the print out of the clicks. For an instance, if you are having any event, you may rent Instaprint’s Box. Each box is related with a location or a hashtag, so any photo tagged with it automatically will get printed. We may say that it is a kind of photobooth which collects all of them and a Polaroid which at the same time prints them. They provide the user with a book of 1 inch sticker which will be created by his Instagram photos. That specific book can contain a maximum of 90 stickers in it. Further this book will cost around $14to purchase. Any person who wants to use it has to merely log in the Instagram account and then it will let you select the order in which you want the stickers. In case you do not have 90 stickers in it, the available photos get repeated time and again. Almost all of us would have heard of websites like “photobucket.com or picsquare.com”. They print your photos on objects like Mugs and T-shirts. In the same way this app is used to print your Instagram photos on Mugs, T-shirts and postcards. But with Instamaker you can get the picture printed until you have 3 of them in a row. So this may be considered as a basic condition to get printed any design. This website can be used to create your mosaic out of your Instagram images. All you need to do is to select the object on which you want that image. As the previous one can be used to print photos in the objects, this one concerns in making fridge magnets by using your Instagram photos. You just need to sign in with your Instagram account and select the photos from there. You can create a set of 9 little such magnets in one go. The only thing that may disappoint you is that if you want to use this app, you will have to wait for a while to get your invite code. The reason being that they have been rushed with so many of requests concerning the same. This app is again related to get your Instagram photos printed out. The only thing or the specific feature that will make you use it is the availability of so many nice options to edit your photo that you want to get printed. A user can use it to print a large poster of 50 to 400 of his Instagram photos. There are many different available ways in which you may get them printed. You can print mini wallet sized prints, a mini book or a tiny book. The name clearly explains the purpose of using it. The app gives you a way to make 2 inch cute ceramic tiles out of your Instagram photos. These tiles are as a matter of fact undoubtedly one of the cute things that you would like to keep in your show case. Recently the name of this app was changed to Imagesnap. But without any other fact to worry, this app is still owned by the same earlier ones and even the features are same still. This app sells seven tile sizes to be exact, in two finishes. This app is based to work on the android based platform, iPhone or online. As the name clearly suggest that it has something to do with postcards. To be clear to some more extent, this app allows you send your Instagram photos as postcards. Log in to your Instagram account, then select any of your Instagram photo, add a personalized message and send it or mail it to the address of the concerned person to whom you want to send it. Like all the apps that we have discussed regarding the printing of photos for different purposes, this one also aims to that same thing but with a different aspect. If you do not get satisfied with the previous apps like Prinstagram and Instagoodies and they do ont suite you taste any more, this app awaits you. You can use this app to order large 4 inch sticker using your Instagram photos. All you need to do is to log in your account of Instagram, select your photo and order the same for the print in the aforesaid format. You can use this app to keep a book or a record of your Instagram photos. In fact this app gives an astonishing look to your photos. In addition to Instagram this site also supports the other social networking sites such as Picasa, Flickr and Facebook, further it also has the ability to upload photos directly from the computer. You can just drag and drop photos and pages; you can rearrange them and decide the order in which you want to see the pictures. A nice feature that will surely attract you is that you can keep the digital version of this book with you and then can share it to your friends on social networking sites like Facebook and Twitter. From the name a little hint comes out about related to Bamboos. Actually the boo box has been used as a clipper to the word “Bamboo”. This app comes at a cost of $19. If we get ourselves concerned to the features that it gives, we find that we can make a Boo Box simply by entering the url of our image. Obviously that image will be the Instagram photo. A 4 inch print of the given photo is then placed in a nice Bamboo shadow Box that serves as a frame to the photo. All we have discussed till now were the apps about the use of the photos for different purposes. But at some point of time, we may need to keep a backup of all the Instagram photos. There are some of the apps that let us download the images directly to our computer and save them apart from keeping them stored in the cloud. Instaport is one of them. This app makes it easier to download all your Instagram photos to a zip file and then it allows it to export to the sites like Facebook, Flickr and RSS which in a way helps you to keep extra copies of the same online as well. Till now all the apps of Instagram have been discussed with a small description about their usage. Clearly, there are a lot of choices about the concerned topic and this increased entropy of Instagram apps creates a lot of confusion in the minds of the users. But there is a simple way to determine the best app according to your use. These Instagram apps can be divided into many categories. Starting with the ones which help you to manage your accounts, there are other apps that allows its user to interact at the same time to interact with the other sites as well. There are apps that allows you to design some products using Instagram photos, while there are some that enables you to keep a backup of your Instagram photos. Among all these categories, it then becomes much easier to choose the correct app according to our need. However some of my favourite ones are Pictarine, Carousel and Instapuppy. It is but obvious that every one among you is going to have a favourite of your own.